Happy National Pasta Day! 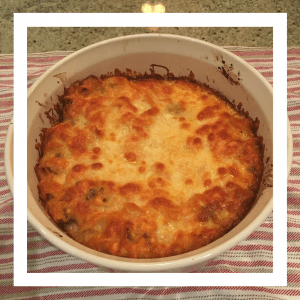 Growing up one of my family’s favorite comfort foods was Pizza Casserole and with the cold rolling back into Chicago this week I was definitely in the need of a little warmth. But as holiday cocktail dress season is right around the corner, I lightened up the recipe and added a twist for your dog. Perfect dinner for the whole family! Cook noodles according to package directions and add in broccoli the last 3 minutes of cooking, strain. 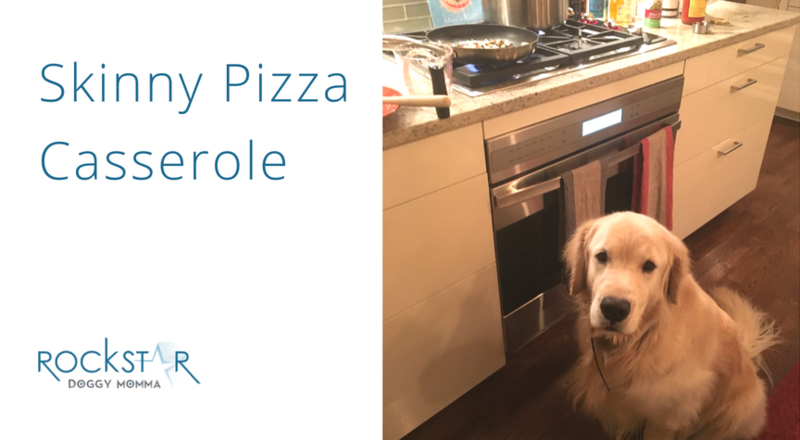 Set aside a plain portion for your pup. While noodles are cooking sauté ground turkey breast in 1 Tablespoon olive oil and Italian seasoning. Strain out fat. Set aside. Set aside a plain portion for your pup. Sauté onions, mushrooms, green peppers and garlic in the remaining olive oil. In a mixing bowl combine the ground turkey, vegetables and noodles stirring in the tomato and ketchup. Place mixture into an oven safe round dish and top with cheese. Bake for 25-30 minutes until golden brown. 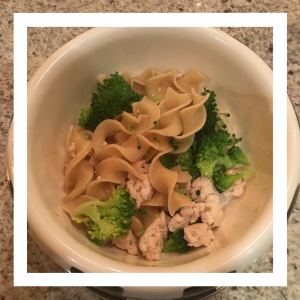 Remember to set aside a portion of the plain noodles, broccoli and ground turkey for your pup. For large dogs: ½ cup each and for small dogs ¼ cup each. If you are watching your dog’s weight, you can just give him or her the turkey and broccoli!